This is as close to a "cookie post" that you will ever see on Nibble Me This. 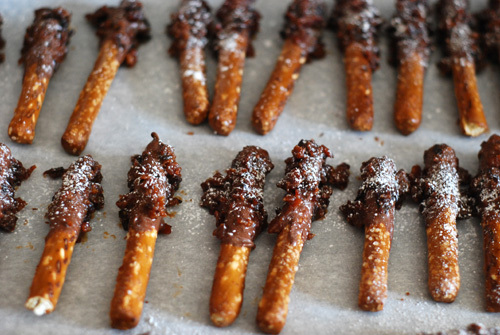 I made DivaQ's Chocolate Pig Candy Pretzels (click for full recipe). 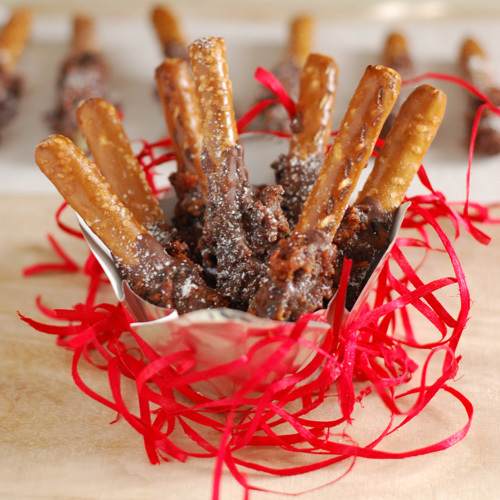 It's made of pretzels, chocolate and crumbled candied bacon. Yeah, I know....right? Sweet, salty, and a bit smoky too. Danielle Dimovski aka DivaQ has been one of my top favorite BBQ bloggers since I started my blog. She's got a hilarious sense of humor, has great content & tips, and is one heck of a BBQ competition cook, as proven by her top finish in pork shoulder at the 2011 Jack Daniels. If you don't already follow her, check out www.divaq.ca . 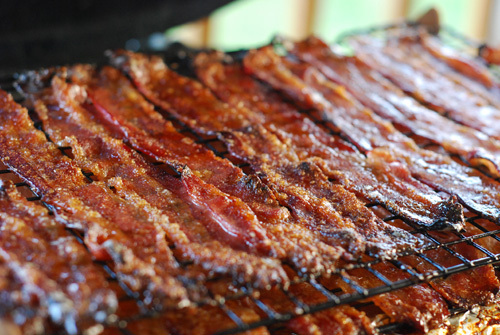 Made my pig candy on my Green Egg. 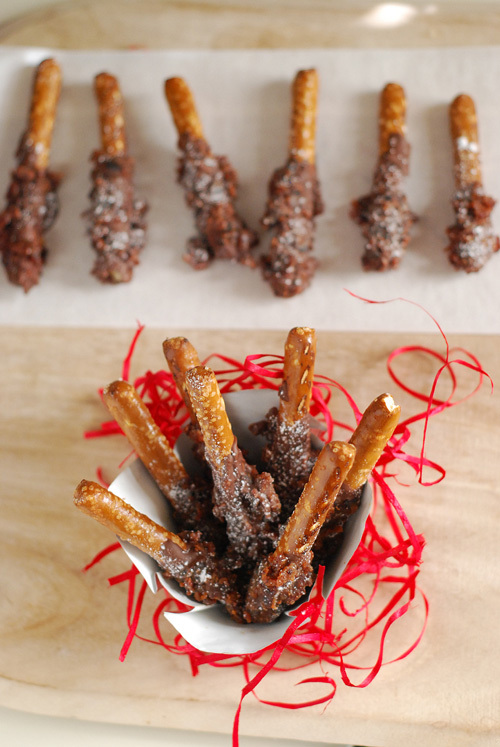 Dipped in chocolate, sprinkled with crumbled pig candy, chilled in fridge, dusted with powdered sugar. We packaged these in foil cups and red straw inside of a clear plastic goody bag to give as gifts to co-workers, neighbors, etc. 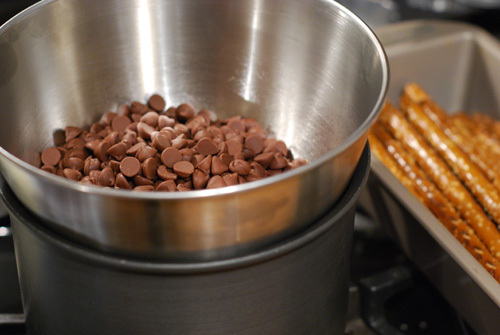 Labels: appetizer, BBQ, BBQ Media, Big Green Egg, holy crap I posted a dessert, links, why not?